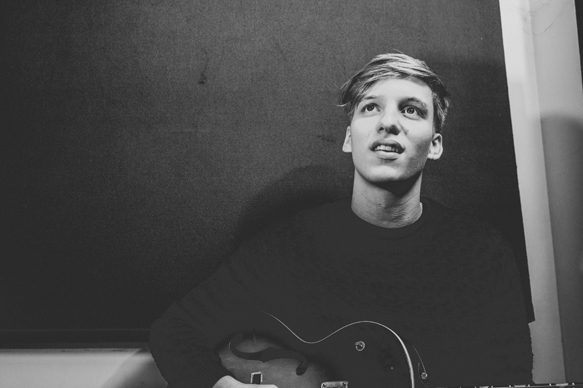 George Ezra never thought that it would be his obsession with Bob Dylan that would give him a musical edge. Born George Ezra Barnett in Herford, England, this twenty-one year old with a velvety smooth, bass-baritone voice started listening to Dylan at an early age, and from there discovered Woodie Guthrie, Howlin’ Wolf, and Lead Belly. “On the back of the (Lead Belly) record, it said his voice was so big, you had to turn your record player down,” Ezra says. “I liked the idea of singing with a big voice, so I tried it, and I could.” When the Gramophone Rings says Ezra has “a voice beyond his years”, adding “…a soulful, wizened tone that somehow would feel more at home coming from an Alabama shrimp boat captain than a twenty-one year old Bristolian.” Releasing two EPs, Did You Hear the Rain? (October 2013) and Cassy O’ (March 2014), Ezra signed with Columbia Records at age eighteen while attending the British & Irish Modern Music Institute. Not interested in an attention-getting stage name or flashy clothes, this humble vocalist and guitar player has no desire to walk the red carpet. Instead, he wishes only to make great music. Ezra has had his wish granted with his debut album, Wanted on Voyage, released in the UK on June 30, 2014, and then in the US on January 27, 2015. Combining old time Blues and Folk with modern Rock and even a bit of Pop, this blonde Brit has created an album that defies musical genre, forging his own path not unlike other clean-cut, male, British vocalists of late, like Ed Sheeran, Sam Smith, and John Newman. 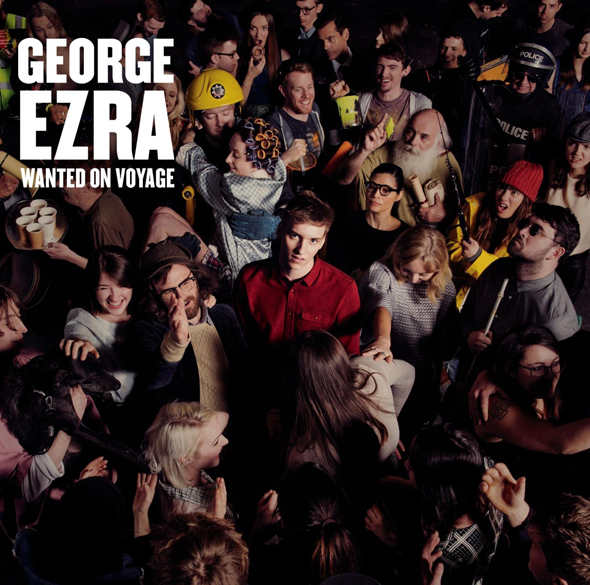 Produced by Cam Blackwood, Wanted on Voyage is a twelve track chart topper that Ezra wrote while taking a train tour across Europe, making up songs about the things he had seen and conversations he had heard. The album hit #1 twice in the UK – once on October 5, 2014 and then again on January 4, 2015. Even the album’s title is travel related – it is a reference to the sticker on Paddington Bear’s suitcase. His accolades include MTV’s “Brand New for 2014.” Vevo’s “DSCVR Ones to Watch 2014,” iTunes’ “New Artists 2014,” and was added to the list for the “BBC Sound of… 2014,” where he finished in fifth place. He was also nominated for four illustrious Brit Awards, including Best Male Solo Artist and Best British Album. The record begins with the self-deprecating “Blame It On Me,” a springy jaunt with a strumming, acoustic guitar that calls up early ’80s John Cougar Mellencamp. The first single, “Budapest,” is perhaps the catchiest track on the album and certainly the most successful, a genuine love song surprisingly written after Ezra missed a train to the titled city during his European train tour. At first glance, the upbeat soul belter “Cassy O'” seems to be about a girl, but upon closer inspection, it is actually about the inescapable passage of time. Ezra stretches his vocal chords a bit with “Barcelona,” slowing things down and spreading them out with a sleepy tempo and sweet as honey guitar plucking. “Listen to the Man” picks the pace back up with a fun, popping beat and a dancing Sir Ian McKellan cameo in the official video. “Leaving It Up to You” is a simple, powerful song, with Ezra surprising the listener with an unexpected falsetto. Channeling Ralph Stanley in “Did You Hear the Rain?” Ezra croons a cappella for the first verse, then breaks into a dark, electric Bluegrass harmony that would have sounded right at home on the 2000 O, Brother, Where Art Thou? soundtrack. Jumping back into the 21st century, “Drawing Board” could have been written by Jaron and the Long Road to Love, a tongue-in-cheek squall about murdering someone in deranged, absurd ways. Ezra pops back to the ’70s for a bit of Motown swing with “Stand By Your Gun,” his fluctuating, sonorous vocals bouncing off of the toe-tapping synths perfectly. Another dark song, “Breakaway,” has Ezra pleading with a passive friend to leave the man who is destroying her self-esteem. “Over the Creek” starts with a beautiful bass that rolls over into a lazy float down a spring-fed river. Ezra ends the album on a deep, ominous note with “Spectacular Rival,” a Depeche Mode-esque marching song about a man asking his girl if he can use her as a punching bag. Currently on tour with Sam Smith, Ezra will team up for a few shows with Grammy nominated Hozier on March 2 in Toronto, and then finally going off on his own headlining tour March 24th, starting in Philadelphia. He will also appear at the Coachella Valley Music and Arts Festival on April 10th and then again on the 17th. Ezra has a big future ahead of him, so do not miss what one Chicago reviewer called “the next voice of England” should he stop at a venue near by. CrypticRock gives Wanted on Voyage 5 out of 5 stars.